Sakura Aikido Dojo operates in Thessaloniki, Greece, since 2005. The instructors of the dojo are Nikos Holevas (3rd Dan Aikikai) and George Georgiadis (2nd Dan Aikikai). “Our mission is to teach and spread Aikido, in accordance to the principles of the Aikikai Foundation and its present Doshu, Moriteru Ueshiba. Through dedicated training, we aspire to a better understanding of those principles and their application inside and outside the dojo”. 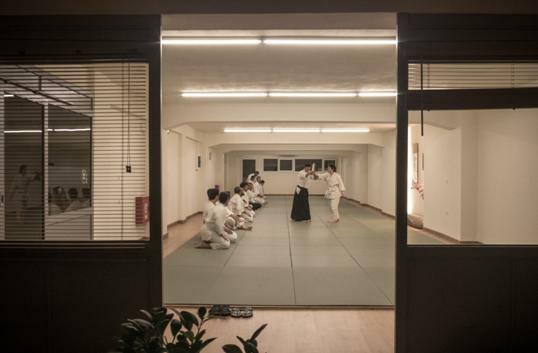 Sakura Dojo meets the highest safety, functionality and aesthetic standards and has 120 square meters of tatami practice area. Training takes place in a friendly and pleasant environment, with great concern to the safety and dignity of the students. Since 2015, Sakura Dojo has joined the Sakumeikan Aikikai, and is under the technical guidance of Steve Magson Sensei (6th Dan Aikikai).